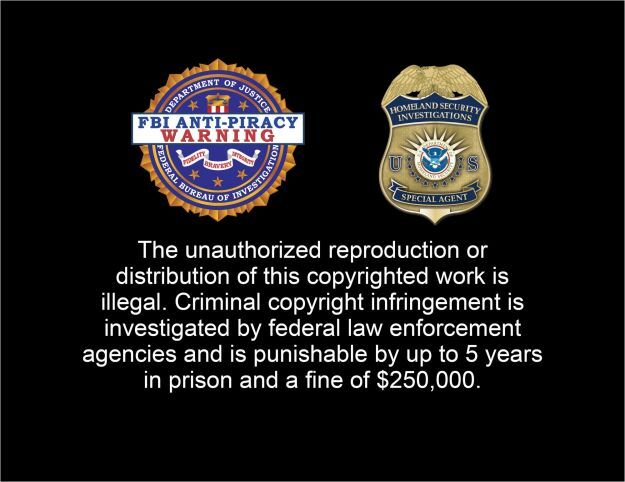 The annoying anti-piracy messages people have to sit through at the start of DVDs and Blu-rays have just gotten worse - twice as worse! Instead of just a single screen warning of the dire consequences of movie piracy, movie lovhaers will now have to wait through two, possibly unskippable, warnings screens. 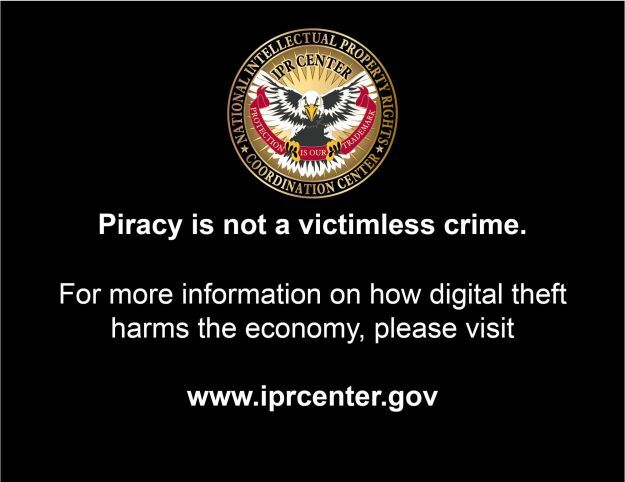 And it's not just the FBI that's threatening to jail people for 5 years for torrenting a movie, the Department of Homeland Security adds its badge to the first warning screen, while the menacing eagle logo of the National Intellectual Property Rights Coordination Center (IPR Center) graces the newly added second screen. The second screen also shows a link to www.iprcenter.gov, the tax-payer funded website that some critics have labeled as nothing more than an outlet to espouse pro-copyright views, often at the expensive of reality. Movie fans, especially those that choose to do the right thing and pay for their movies, have often expressed their frustration at at these types of potentially unskippable warning screens. Ironically, pirated copies normally make the screen skippable, or remove them entirely, and gives movie watchers a much better user experience as a result. For those that want to stay on the right side of the law, but also don't want to watch these condescending screens, can opt for certain subscription streaming or legal downloads that allow movie lovers to get right into the action in seconds, as opposed to minutes. For those that don't, well, they can still get their favourite movies via the usual places, still free of all annoying warning screens. 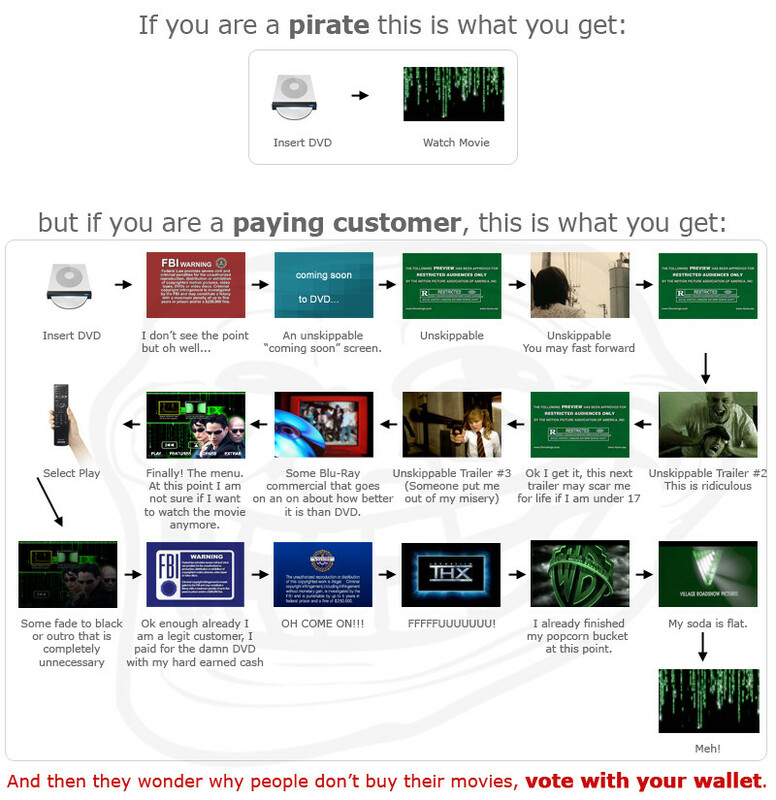 $10 Music Piracy Fine - The Answer To The Piracy Problem?